This is the time of year when band directors find themselves with the daunting task of selecting an Indoor Show for their Winter Drum Line. Unfortunately those of us who play trumpet, flute, trombone or oboe haven’t the slightest idea where to turn. With the competitive season closing in and our trusty computer in front of us most of us will turn to the Internet hoping that Google or any of the other popular search engines can aid us in our search. Selecting a show that’s appropriate for your budget, students abilities, socio-economic area as well as one with educational value would seem to me the logical place to start. With that in mind, I polled some of the brightest minds in Indoor Percussion, teachers, composers and arrangers and asked them what they considered the most important factors in selecting a Winter Drum Line show are. Here’s a compilation of their thoughts for you to use as a “Guide to Success” in selecting a show that’s best suited for your Winter Drum Line. – Is the price right? – Is the difficulty level appropriate for the experience level in each of your sections? – Are instrumentation and size options available? – Are there modified parts for beginners and inexperienced players? – Is drill included with drill charts and animation? – Is Local, Regional & W.G.I. protection available? – Is the music accessible, will your hometown audience enjoy listening to it? – Will the program provide your group with the opportunity for competitive success? – Are MP3’s and audio files of samples used in the arrangement included? – Is the musical style and show appropriate for your socio-economic area? – Is the show an original composition or just arrangements of copyrighted music? – Are practice tools (MP3’s for individual rehearsal) available? 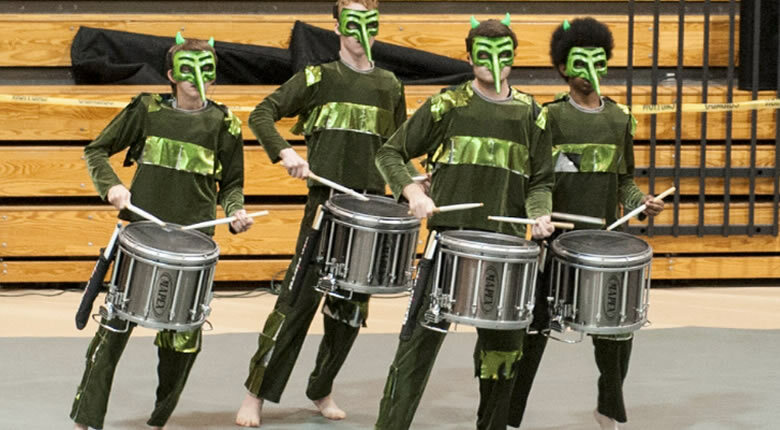 For some terrific examples of Indoor Percussion Shows for your Winter Drum line that include shows for all levels of experience, I highly suggest you log on to: XtremePercussion.com . The Indoor Shows available there have been created by industry leading composers and arrangers in the world of Winter Drums and are the best available in my humble opinion. Happy hunting..